I’ve always admired Lotuff bags from afar. They are made in USA, kind of pricey, on the boutique circuit, and hard to find on sale. Eventually the right sale came along in the form of a retirement sale. 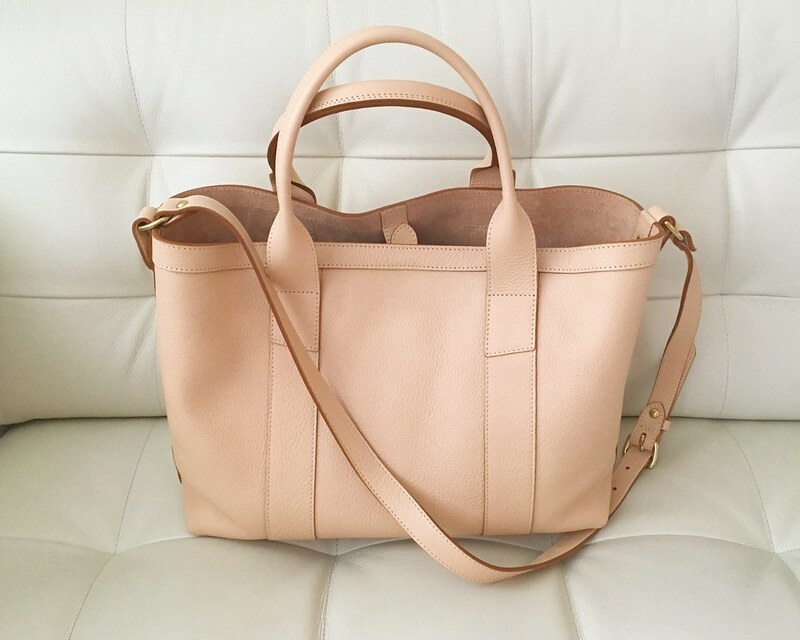 I got this Lotuff small leather tote with strap in a natural color. I also ordered the small leather tote without strap in chestnut brown. That was returned — the chestnut brown shade wasn’t caramel/rich enough for me. And please note that all sales are not final, which was a driving factor in placing an order sight unseen. The leather quality is amazing — I find that leather smell to be intoxicating. The 14″ x 10.5″ x 5″ size is big enough to hold a good deal of belongings but small enough not to overwhelm. I was having it sit on the sidelines until I figured out how to treat it, but the more I read about pebbled leather, the more I’m convinced it doesn’t need much babying. The corners are a bit soft, so I am thinking of getting a purse shaper/insert/organizer to hold them up. I love the look of the small tote (without straps) and do wish the strap could be removed. The weight of the bag is not lightweight, but it’s not bad.